Even in its detuned state, the Ducati 1198 engine is reason enough to buy a Ducati Multistrada 1200S. As an adventure bike with genuine superbike power, it essentially invented a new class (although it probably took inspiration from the KTM 990 SMT). The suspension and brakes are still exceptional by today’s standards and the electronic riding modes, which adapt the suspension, power delivery and traction control settings, reinvented what we thought was possible from rider aids. The Multistrada genuinely handles like a (tall) superbike in 'Sport' mode but is capable off-road in 'Enduro' mode and has a setting for just about everything in between. This 2010 model is a 1200S (as opposed to the standard 1200 without the 'S') and came with exceptional Öhlins suspension. After 2013, the 1200S started to be fitted with Ducati Skyhook system, but they are more expensive on the used market. 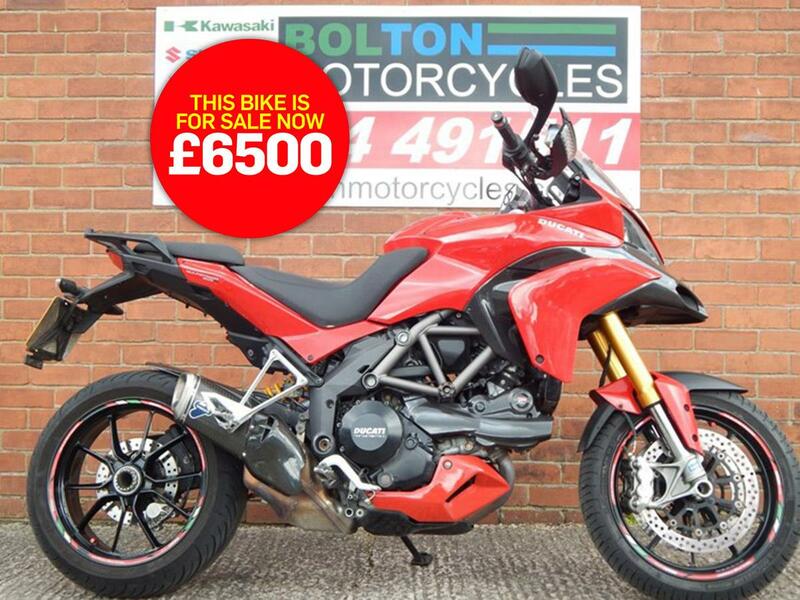 This Ducati Multistrada 1200S is available from Bolton Motorcycles, who say: "This 2010 Multistrada looks great in a stunning Ducati red paint scheme and has only covered 24,777 miles from new. "It comes complete with a Datatag and a full service history and is in lovely condition with Ducati performance accessories comprising of a Ducati fly screen, Ducati carbon fibre tank pad and Termignoni exhaust. "Also, a full Ducati book pack including, Ducati wallet, owners handbook, service book and two keys are included."